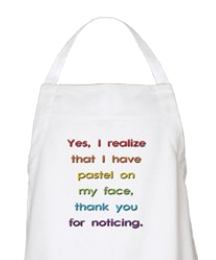 If you are interested in joining The Pastel Society of North Carolina, annual dues are $40. Additionally, there is a one-time charge of $65 for an artist’s bio and gallery page on our website (in addition to the annual dues). Please submit your bio, head shot, and three paintings (with titles) using this form. You may also use the same form to update your bio and photos at any time. The History of the PSNC is now available. Written and researched by our Historian, Chris Kanoy, the history follows the organization from formation to present status today. We have also added a new Signature Membership level – read more information about how to earn points toward this designation here. Everyone’s renewal will come due on January 1, 2019 regardless of when you joined. Please follow the outline below to select the correct option. If you joined Dec 2017 – Feb 2018, then you should use the Full Dues Membership form (below left) to renew at full price ($40). If you joined Mar – May 2018, then you should use the Prorated Membership form (below right) to renew now at 3/4 price ($30). If you joined June – Aug 2018, then you should use the Prorated Membership form (below right) to renew now at 1/2 price ($20). If you joined Sept – Nov 2018, then you should use the Prorated Membership form (below right) to renew now at 1/4 price ($10). If you are not sure which month you joined, email Phyllis and she will look it up for you. You may also come to a meeting or two before deciding to join. We will happily accept dues in person.